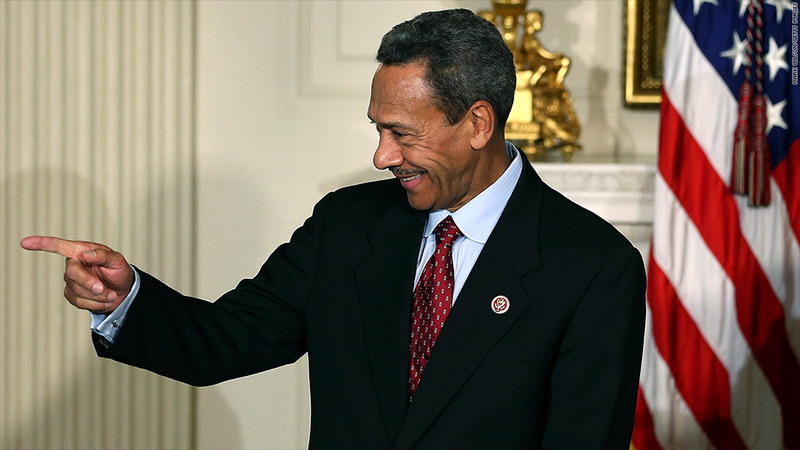 New housing finance chief Mel Watt says he will postpone fee increases set for April. It's a Christmas miracle! Planned fee increases that would have added to the cost of millions of mortgages will be postponed. Currently, borrowers seeking loans backed by Fannie Mae and Freddie Mac are set to pay higher upfront fees starting April 1. The fees, ordered by the Federal Housing Finance Agency earlier this month, are meant to help safeguard banks against risky borrowers who might default. But housing experts say they will add thousands of dollars to the cost of all mortgages insured by Fannie and Freddie, with the biggest hits taken by borrowers with less than perfect credit histories. On Friday, the incoming chief of the FHFA, Mel Watt, said he intends to postpone the fees -- and perhaps even cancel them -- until more analysis is done. The FHFA oversees Fannie Mae and Freddie Mac. Watt, a former Democratic member of Congress, has been confirmed to his post by the Senate and takes office on January 6. In a statement, Watt said he intends to "evaluate fully the rationale" for the fees and their impact on Fannie and Freddie and the "availability of credit." The mortgage industry has been bracing for substantial increases in the price of loans in 2014. "If these [policies] had been implemented, it would have increased borrowing costs dramatically," said David Stevens, CEO of the Mortgage Bankers Association. The hit for individual borrowers would depend on the amount of the home purchase being financed, according to Brian Koss, executive vice president at Massachusetts-based lender Mortgage Network. Borrowers would have paid a fee when they took out the loan, or they could have effectively rolled the higher fees into their interest rate, raising monthly mortgage payments by as much as a quarter percentage point. Even with the reversal, however, mortgages will probably get more expensive over the next few months anyway as the Federal Reserve cuts back on its purchases of mortgage backed securities, a program designed to keep interest rates low. Stevens, the mortgage industry representative, said the proposed increases made little sense. Defaults on mortgages made in recent years have been much lower than on those made before the housing crash. As a result, Fannie and Freddie are flush with profits, so much so that they have already returned almost all of their $187 billion taxpayer-funded bailout. "The GSEs are making a lot of money," said Stevens. "There's no rationale for the increases."